If you don’t know the name you’ll surely know at least a couple of his songs. Or perhaps you remember his cameo appearance in Twin Peaks? The multitalented Van Dyke Parks was Brian Wilson’s collaborator on the aborted mid-sixties Beach Boys project, Smile. While Wilson supplied the music, Parks coughed up a bunch of surreal lyrics. Joint compositions like Heroes And Villains and Surf’s Up moved the Beach Boys up a notch. They went from harmonising over cars ‘n’ girls to singing epic lines such as “Dim chandelier awaken me, to a song dissolved in the dawn” and “Columnated ruins domino”! What did it all mean? What it meant was commercial disaster, as far as Wilson’s puzzled bandmates were concerned. Smile, as everyone knows, was abandoned and the recording sessions filleted for singles and tracks on later albums. Van Dyke Parks, meanwhile, was offered a recording contract of his own. Song Cycle, his first release, appeared in 1968 and despite conscientious label promotion sold badly. So badly that Warner Bros later took out full page ads for it, proclaiming “How we lost $35,509.50 on the album of the year (dammit)”. The music drew on ragtime and bluegrass, classical avant-garde, exotica and pop; the sleeve notes tumbled from the artwork with the same stream of consciousness that apparently inspired the lyrics. The singing was, frankly, underpowered. Song Cycle didn’t fit anywhere in 1968 and was roundly ignored by most record buyers, although its inventive wizardry seems to have influenced many musicians over the last 50 years. Just listen to The All Golden and Palm Desert, or Vine Street by the then unknown Randy Newman – itself an exercise in postmodern songwriting. They sound extraordinary today, although Parks himself has said something along the lines of it being just as impossible to listen to it today as it was in 1968, but that it’s not the Bee Gees gave him some satisfaction. It was Parks’ personal manifesto. One track is even called Van Dyke Parks. 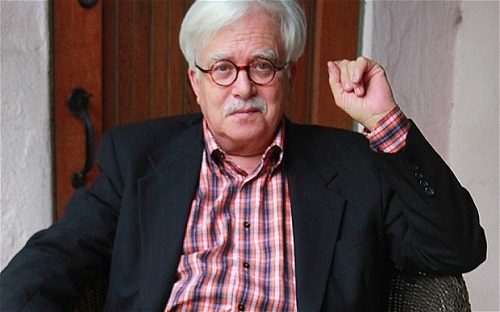 So, who is Van Dyke Parks and why does he deserve a Toppermost? By the time the bespectacled Carnegie Institute graduate hooked up with Brian Wilson, he’d already done some extraordinary things. As an eleven-year-old chorister at Princeton in 1954, Parks sang German carols for an elderly Albert Einstein, as he played along on the violin in his kitchen. He then had a brief career as a child actor in the fifties. In 1963, his first professional commission was to arrange The Bare Necessities on the soundtrack to Disney’s The Jungle Book. Now everyone knows that, right? Despite grooving with Einstein and Baloo the bear – oh yes, he was also briefly in Frank Zappa’s Mothers of Invention and gave Buffalo Springfield their name – the extraordinary Parks went quiet after Song Cycle, engrossed in a job at Warners until the early Seventies. Long periods of studio silence would come to characterise his recording career. In 1972, he released Discover America, a musical journey around the Gulf of Mexico, recorded with a Trinidadian steel band. In much the same way as Song Cycle it exists entirely outside contemporary rock, despite including arrangements of Allen Toussaint and Lowell George songs. I’ve chosen Bing Crosby and Ode To Tobago which nicely summarise the album I think. I’ve loved Discover America since first hearing it in about 1990. But calypso, chamber string arrangements and tributes to Bing Crosby, the Mills Brothers and Rudy Vallee wasn’t what most rock fans were listening to in 1972. It too sold poorly. He followed up Discover America four years later (a lifetime for any artist in the seventies) with Clang Of The Yankee Reaper: another great collection of tunes which continued his exploration of calypso. Mighty Sparrow’s Pass That Stage and Tribute To Spree are brilliant, exuberant musical statements. The album was made at the same time as his pal Harry Nilsson was recording …That’s The Way It Is and features some of the same musicians. There was then an even longer gap, during which Parks immersed himself in production and, at times patchy, soundtrack work (viz the Robin Williams movie Popeye). He re-emerged in 1984 in a typical leftfield way with Jump!, a musical interpretation of the Brer Rabbit stories. Tracks on this quaint release have featured in his concert performances over the years so I’ve picked a version of the title track, Jump!, from his album Moonlighting, a live set that also includes renditions of Wings Of A Dove and C-H-I-C-K-E-N.
Five years after Jump! came Tokyo Rose, in which Parks shifted his attention from the Caribbean to Japan, to explore the relationship between American and Japanese culture – “stolen goods,” as he once put it. It features Japanese instruments and musicians. I found this album fascinating and have chosen Yankee Go Home. Parks revived his partnership with Brian Wilson on 1995’s excellent but understated Orange Crate Art. The title track is one of the strongest here. Then everything went quiet once again for almost two decades until the maverick returned with Songs Cycled, perhaps his most cohesive and accessible record. 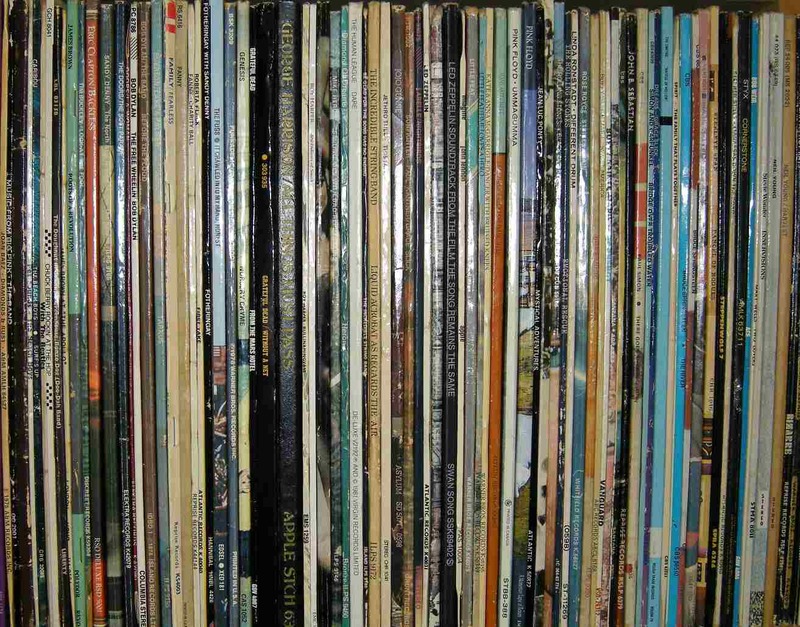 Although inspired, at least in title, by his very first album, Songs Cycled gathered together tracks that first appeared in a series of vinyl seven-inches released in the 2010s. Again, it’s a divergent set that knocks the dirt from American roots and appears to move not just between genres but centuries. I’ve chosen Black Gold from this album. Looking back on his erratic output over 50 years, I love Parks’ sense of history. He takes his cue from nineteenth-century parlour songs as effortlessly as he does recent events such as terror attacks and oil spills. How history impacts on the present is a theme that runs deep with Van Dyke Parks. He boasted in a recent interview that he’d once known a man who’d met somebody who shook hands with Napoleon. Although he’s perhaps most successful these days as a producer and arranger for the likes of Randy Newman, Scissor Sisters and Rufus Wainwright and as a film composer, his under-the-radar records are well worth seeking out for those with a widescreen view of music. Robert Webb is a freelance writer and editor. His writing has appeared in The Independent and BBC Online. He is the author of The 100 Greatest Cover Versions and a new biography of John Lennon. Fabulous! Thank you for posting about someone I would never expect to see on this site. Discover America and discover Van Dyke Parks! Rob, thanks for this fascinating piece. I principally know Van Dyke for the brilliant arrangements he did on Phil Ochs’ album Greatest Hits. He continues to speak very fondly of Phil right up to today. This excellent piece gives me a great platform from which to explore his own work. Thanks again. ‘Sailin’ Shoes’ from Discover in America made it onto my prized in-car “Best Americana” playlist, and because I used to select Sailin’ Shoes (Track 11), I also got to love Riverboat (Track 12). But he is odd – I think his version of FDR in Trinidad on the same album is dire. But he is fascinating. I’m inspired to pull out Jump and Yankee Reaper which I haven’t played in decades.